State Song "North Dakota Hymn"
Theodore Roosevelt National Park: National park in western North Dakota. International Peace Garden: Park on the North Dakota - Canada border. Red River Zoo: Zoo in Fargo, North Dakota. Dakota Zoo: Zoo in Bismarck, North Dakota. Fargo Theatre: Movie theater in Fargo, North Dakota. Fargo Air Museum: Aviation museum in Fargo, North Dakota. Plains Art Museum: Art museum in Fargo, North Dakota. Bonanzaville, USA: History museum in West Fargo, North Dakota. Enchanted Highway: 30-mile stretch of road with roadside art between Gladstone and Regent, North Dakota. Fort Mandan - Lewis and Clark Interpretative Center: Historical landmark in Washburn, North Dakota. Roosevelt Park Zoo: Zoo in Minot, North Dakota. Chahinkapa Zoo: Zoo in Wahpeton, North Dakota. Fort Abraham Lincoln: State park in Mandan, North Dakota. North Dakota Heritage Center: Museum in Bismarck, North Dakota. SuperSlide Amusement Park: Amusement park in Bismarck, North Dakota. Dakota is the Sioux word for "friend" or "ally." 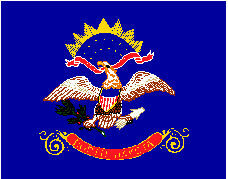 The Dakota Territory was divided into North Dakota and South Dakota on November 2, 1889. The geographical center of North America is in Rugby, North Dakota. North Dakota holds the Guinness World Record for the most�snow angels�made simultaneously in one place. On February 17, 2007, 8,962 people made snow angels at the state capitol grounds. In North Dakota, it is legal to shoot an Indian on horseback, provided you are in a covered wagon. North Dakota�s Jamestown, also known as Buffalo City, houses the �World�s Largest Buffalo.� The statue is 26 feet tall and 46 feet long. North Dakota�s state capitol is 242 feet high. It is the tallest building in North Dakota. 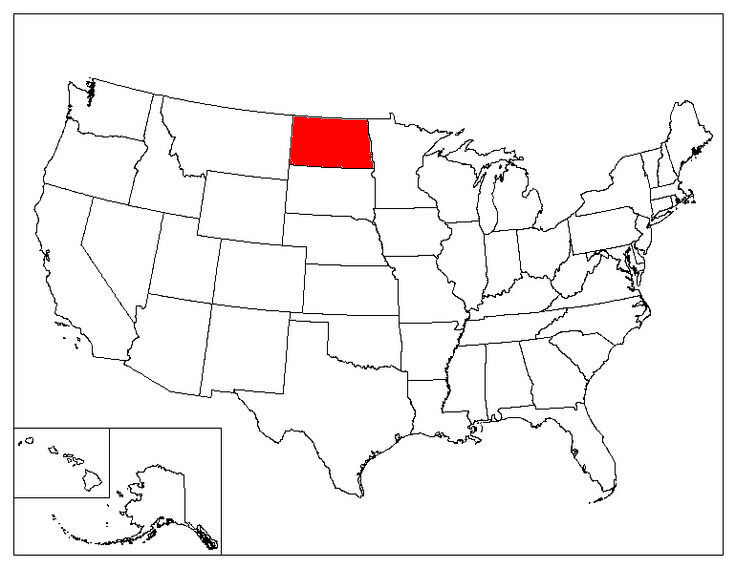 North Dakota is the coldest state in the contiguous United States. 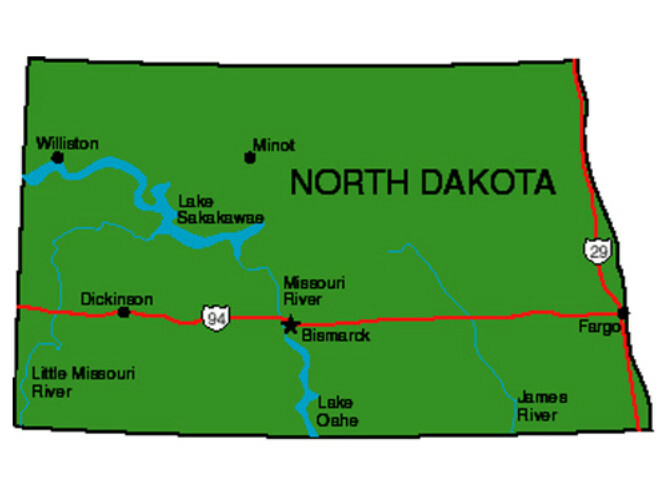 North Dakota is one of two states with an official State March: Flickertail March.